This isn’t your grandfather’s Democrat Party. Something has changed. Something dramatic. Something dangerous. Can you even imagine if a white, male, Republican Congressman made repeated racist remarks towards black Americans. And in response, the GOP issued an “apology” without ever apologizing. And a condemnation that was edited by the white racist Congressman himself. And he turned the condemnation into a statement against black extremism. Huh? Well imagine no more. It just happened. 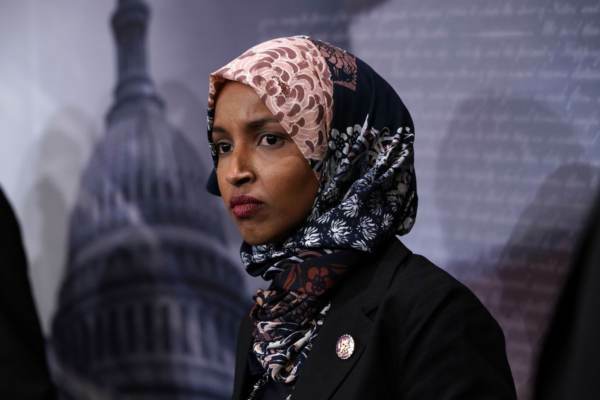 Except this scandal involves Muslim Democrat Congresswoman Ilhan Omar ranting hate speech against Jews. Omar was allowed to edit the Democrats response, and somehow turned it into a condemnation of Islamophobia and white extremism. How disgraceful. But this is about a much bigger problem than Ilhan Omar. This is about the entire Democrat Party. The Democrat Party is infected with a cancer called Jew hatred. The excuses, capitulation and dead silence from leading Democrats is worse than Omar’s comments. Where is Nevada’s own Jewish-American United States Senator Jacky Rosen? Quiet as a church mouse. Where are prominent Jewish Democrat leaders like Dianne Feinstein or Bernie Sanders? Cat got their tongues? Their lack of response is shameful. Never forget, the Democrat leadership saw fit to put ignorant Jew-hater Ilhan Omar on the Foreign Affairs committee, which overseas US-Israeli relations and foreign aid to Israel. Then they refused to remove her. Unimaginable. Pretty cool, huh? The person who slings the hate speech gets to twist the words so her very cause is the one now being celebrated. She is the victim. Never forget, Alexandria Ocasio Cortez defended Omar again and again, eventually showing support by retweeting a supporter of Islamic terrorism. Never forget that Omar takes substantial lobbyist money from CAIR, named by the US government as an unindicted co-conspirator to Islamic terrorism. Never forget, Democrat Congressman James Clyburn’s unimaginable statement that Omar’s experience is “more personal” than Jews whose parents or grandparents survived the Holocaust. Where do Democrats stand on this? Are you awake my fellow American Jews? This is today’s Democrat Party. It’s time for a JEXIT away from the Democrat Party that coddles, caves and embraces Jew hatred. It’s time to escape to the promised land of the GOP, where Jews are welcomed and appreciated; where capitalism is embraced; where extreme vetting is in place to keep bad people out, who would do harm to Jews; where Israel is America’s best friend in the world.